OK, so you’ll be hard pressed to find an example without the £995 Comfort Pack option. But, considering what that brings you – cab air conditioning, electric step at the caravan door, dual-fuel heating upgrade, cab night-time blinds – it’s but a small price to pay. And you’re still well under the magical £40,000 barrier where fewer and fewer manufacturers are able to tread in these straitened times. The two-berth 662 is one of two new layouts added to Swift’s “entry-level” (hate that term) Escape line-up for this year. The other is the end-lounge 664. The model on review here, though, offers the one thing nearly every motorcaravanner wants – or even expects – in a vehicle today: a fixed bed. Here, it’s the French variety, the name that signifies the cutaway shape that allows enough angle (and only just enough) for access to the washroom adjacent to the bedroom at the back of the vehicle. That’s a popular enough layout in many a manufacturer’s portfolio, but – with the honourable exception of Elddis – nobody comes close to this Escape on price. As for the rest of the interior, there’s a typically generous British kitchen mid-‘van before you reach the bedroom/washroom at the back. Whilst not top-of-the-range appliances, again they’re more than adequate: there’s a three-ring hob with combined oven/grill and the Dometic fridge is an 8-series model with removable freezer. There’s also a round sink with cover/chopping board and attachable drainer which means there’s a bit of work surface when you need it. Dedicated storage for crockery (drawer) and crockery (racking) hasn’t been forgotten, either. That theme continues in the washroom, where the one-piece plastic floor gets two plugholes and the temptation not to fit a window has been resisted. 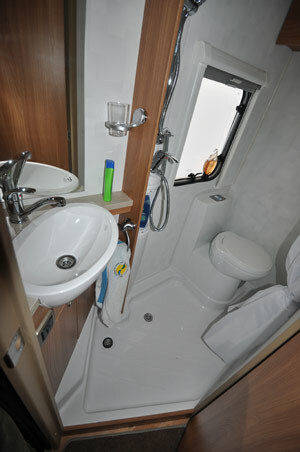 Also here is a fixed sink and swivel-bowl toilet, while the shower’s trigger handle means water is saved. Other fittings here include a corner cupboard under the sink, roof locker and holders for towel, toothbrushes and mug, plus toilet roll. 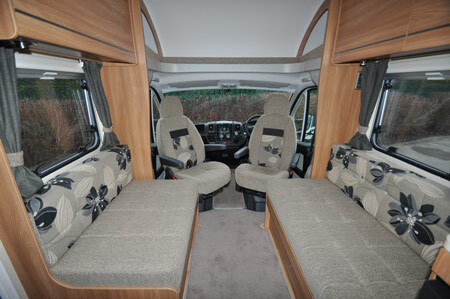 There’s also something to be said for keeping it strictly two-berth – with two short settees in the lounge (and both cab seats swivelled, if needed) and a free-standing table for mealtimes. 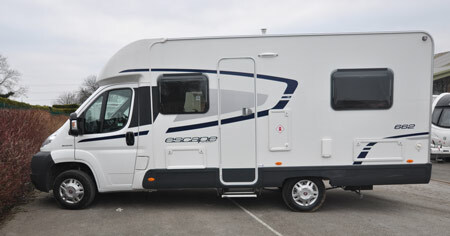 As with all 2013 Swift group motorhomes you get a Tracker Retrieve tracking device as standard, and that will most likely lead to savings when getting insurance quotes for this motorhome. With price comes a lot of forgiveness, too. There’s also compensation to the frill-free build with a very generous 600kg-plus payload margin and aspects such as the non-electric door mirrors. Elsewhere, cost-saving measures include the windowless caravan door, lack of grab handle at the main entrance, unlined curtains, sprung roller blinds (rather than concertina), the upholstery may not be quite out of the top drawer… frankly there’s nothing here that could be marked as a deal breaker. The one thing Swift Group hasn’t cut back on is the Fiat Ducato base. Actually, money is saved by not using Fiat’s specific motorhome chassis, but the engine is the trusty 2.3-litre 130bhp, six-gear unit and not the rather more modest 110bhp five-speeder. 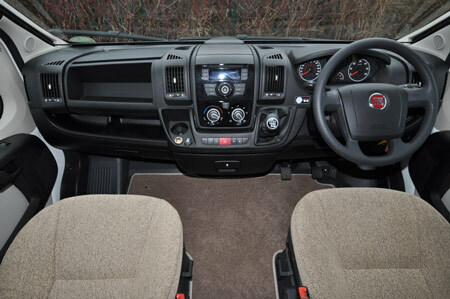 The increasingly popular Comfort-Matic auto’ transmission is also available here, as a £1,695 option. Indeed, there are just two aspects that strike as slightly odd here – the lack of a passenger airbag (it’s not even an option) and the storage slot for the free-standing table that means you have to lift the bed to access it every time you want to retrieve it after travelling. *Motorhome insurance cost based on Swift Escape 662 retailing for £36,525. Fitted with standard security. UK travel only. Kept on driveway at home at TD9 8ED. Motorhome owners – professionals over 50 years old with no claims, convictions or health conditions in last 3 years. 4 years no claims bonus mirrored from car policy and 2 years motorhome driving experience. Members of motorhome club doing less than 5000 miles annually. £300 excess applies. Quote correct as of 19/03/2013. 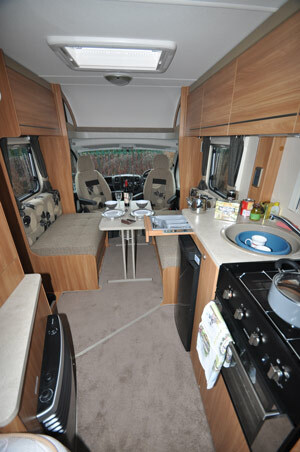 I have a 2014 Elddis Prestige 164 which has done only 1000 miles. Had a week on the IOW & a few weekends in Wales. I find this, my sixth vehicle very liveable. Every thing seems close to hand. Shower is good, even the silly bathroom washbasin ( pull out type) is ok. Bed is great. We sleep to long in it. Drive is about the same as our last Swift Siena, I like it. Heating is a bit noisy but hopefully I won’t need it much. Looking forward to a month in Spain. I own a E class Mercedes & love the cruise control. Now I have that in the van also, which for me is a bonus. 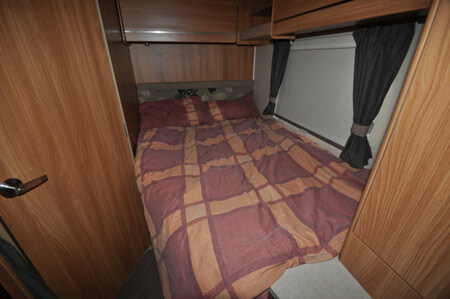 Not as good as the 664,cant see the point in it.Yes its a 2 berth but pre fer 4 berth that can be used as a 2 anyway.